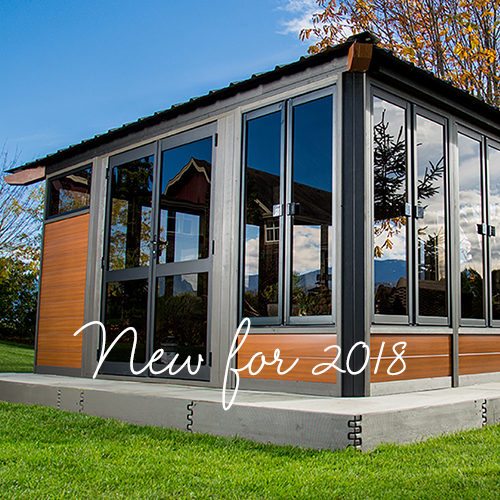 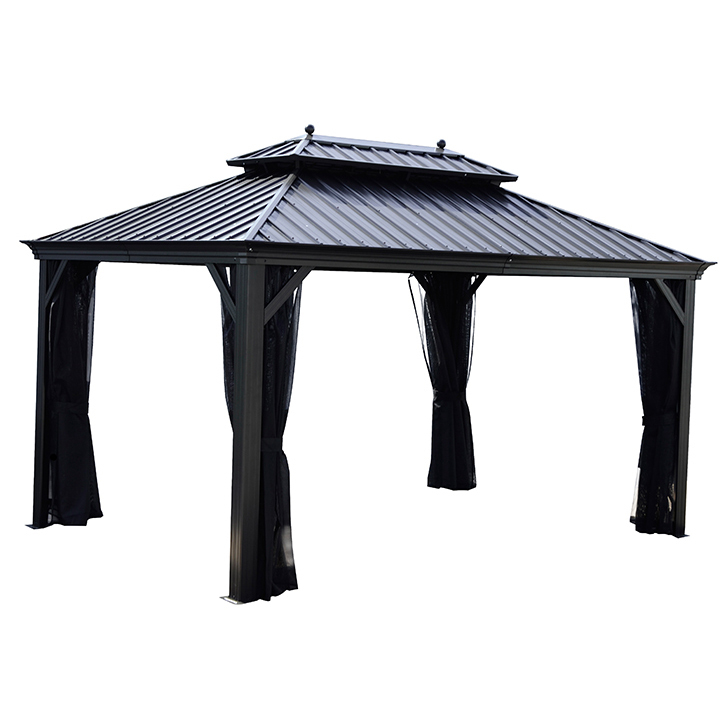 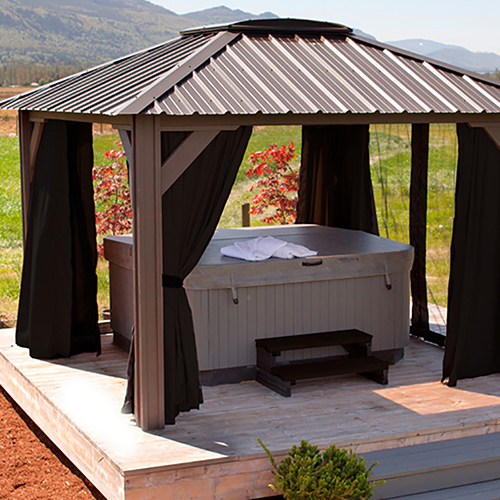 The sturdy Canadian-built Brunello Gazebo is a beautiful addition to any backyard that provides both shelter and privacy. 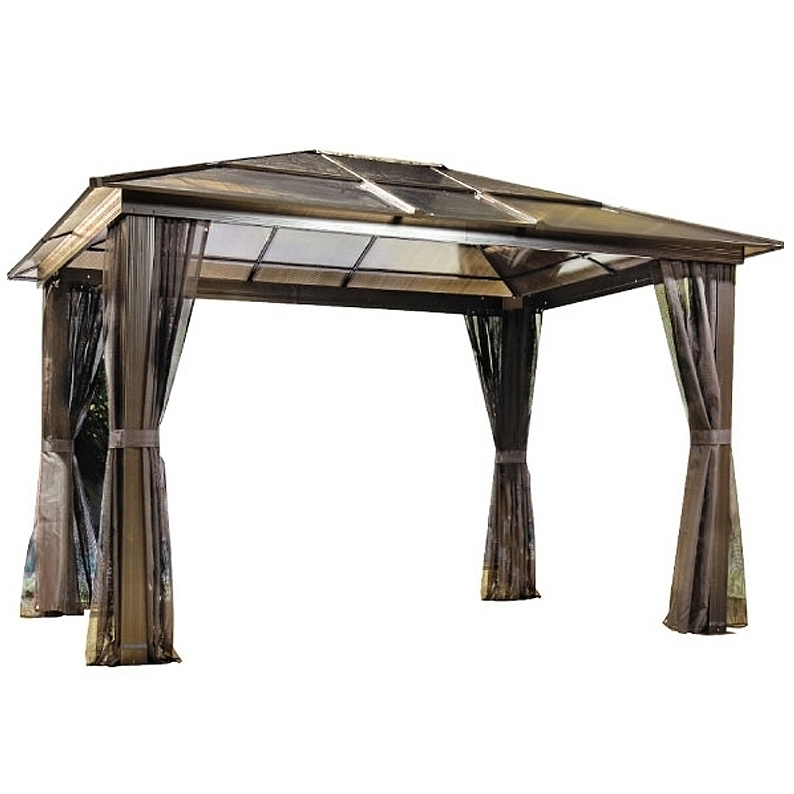 This durable four-season gazebo is a great alternative to fabric top gazebos that require fabric to be taken down during winter months. 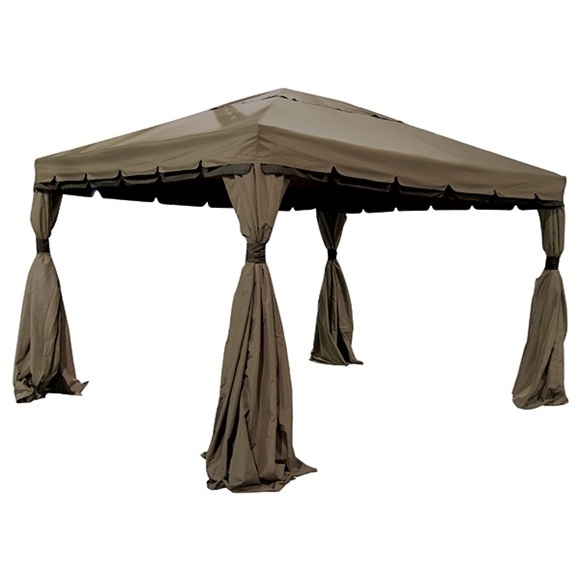 Perfect for great shade on a hot sunny day, while also providing protection against raindrops if you want to remain outdoors during a rain shower. 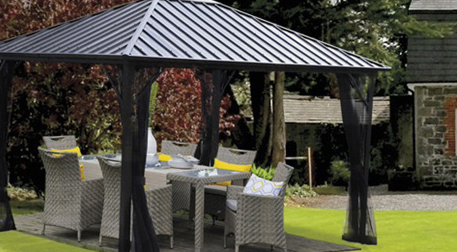 For those backyard barbecues, use the textilene mosquito netting for protection. 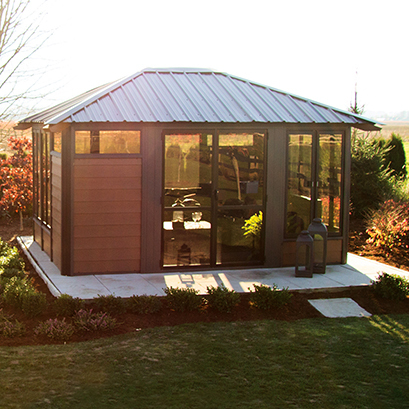 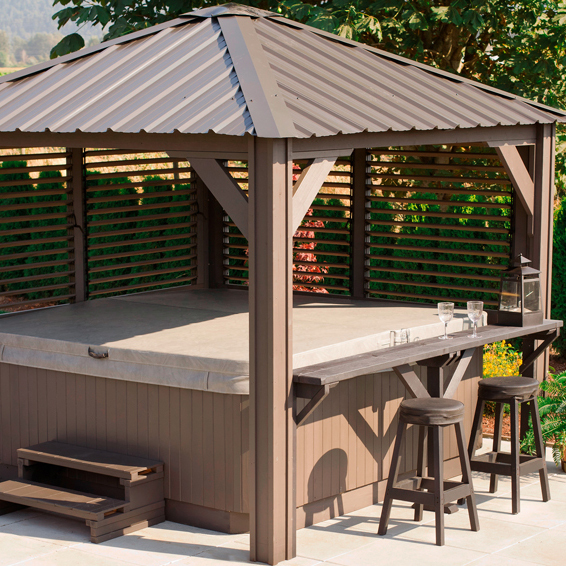 The Brunello takes inspiration from the names Italian roots and provides a gathering place for friends and family. 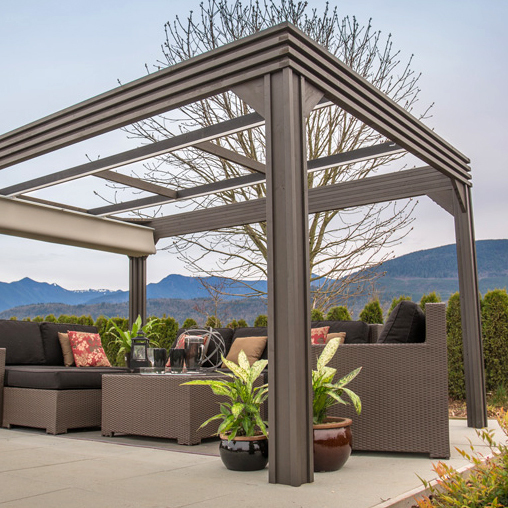 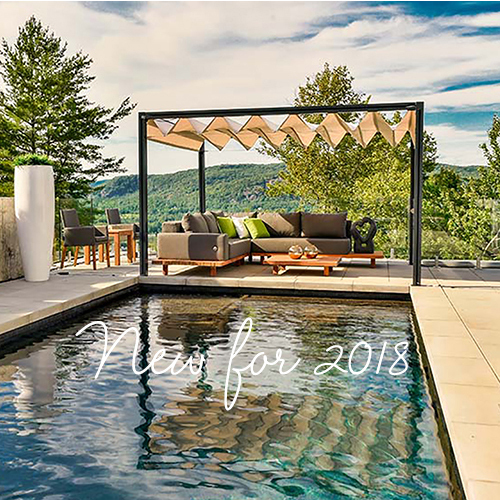 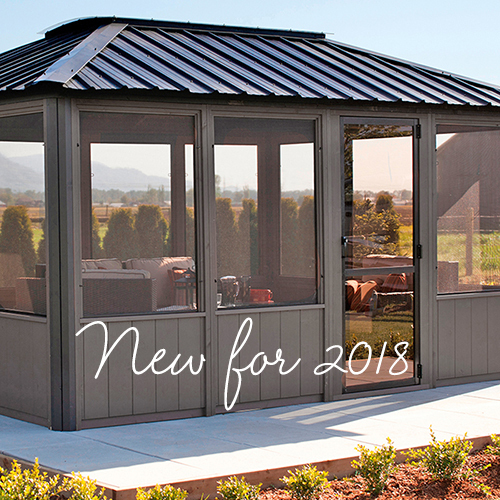 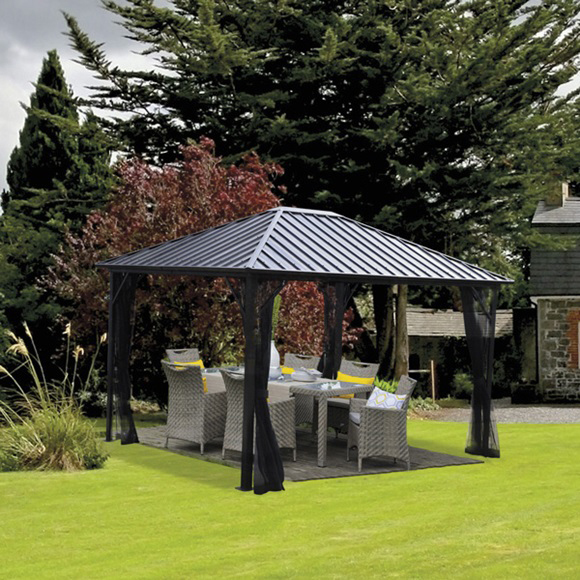 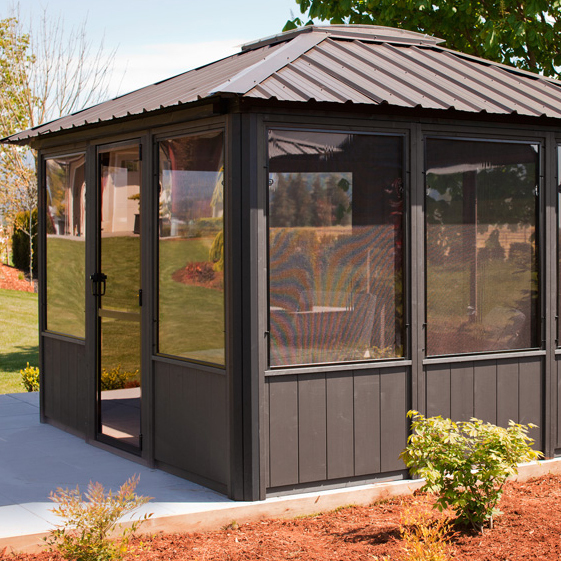 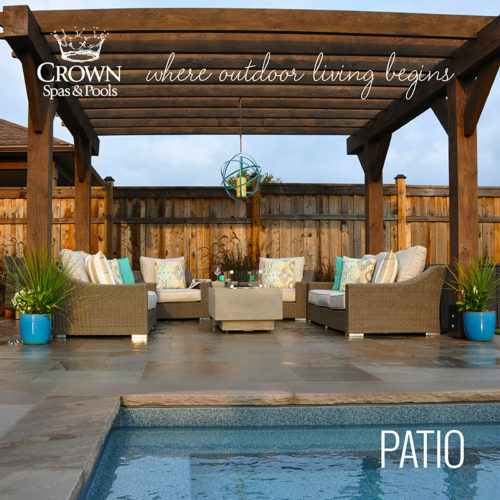 Much like the Italian traditions, outdoor living is a must, and with this sturdy gazebo you can be outside all summer long!